The event was held in aid of children's charity, the Pied Piper Appeal and took place on Sunday 15th July 2018. The stage was set, as 200 riders took to two wheels to pedal for the Pied Piper Appeal. Riders could choose a 50km, 100km or 160km option around beautiful countryside to the west of Gloucester, starting from Gloucester Rugby Kingsholm Stadium and into the stunning Forest of Dean, taking in feed stations en route at Berry Hill RFC and Newent RFC. 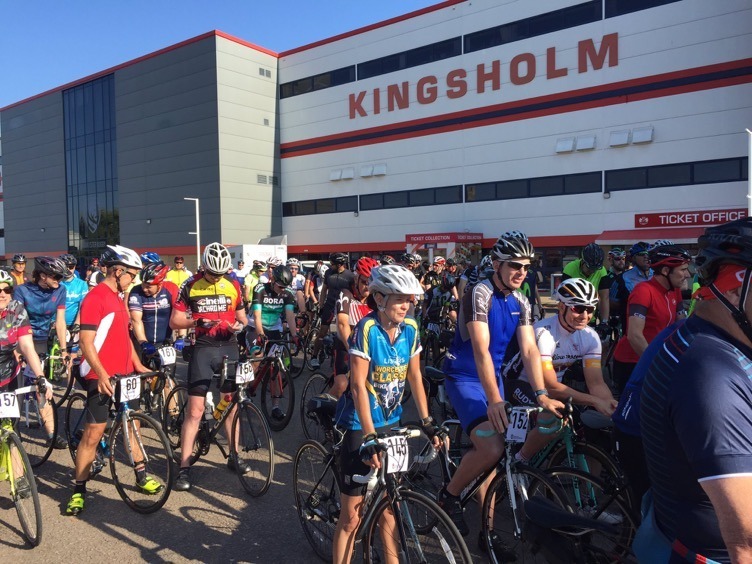 The charity Sportive is organised by former Gloucester captain and Pied Piper board member, Pete Glanville (the WCD Group) Cathryn Hage (Pentacom PR), along with Ian Eggleton and Joanne Bruce from Evans Jones. The event, which is now in its 5th year, has raised thousands within the county helping to transform the lives of sick and disabled children. Ian Eggleton, Director at Evans Jones said “I’ve been associated with Pied Piper for seven or eight years now and it’s a charity very close to my heart. We’re always listening to how we can improve things and the event has gone from strength to strength each year. It's great to be involved in such a big community event and to help raise funds within the county and help transform the lives of sick and disabled children. We're proud to lend our support". For more information on the Pied Piper Sportive, visit the website: www.piedpipersportive.co.uk.